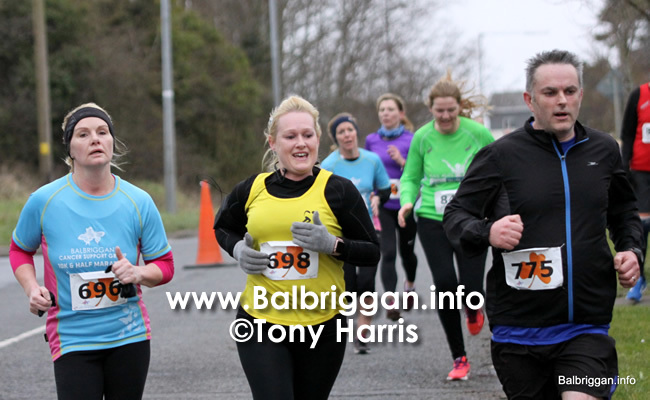 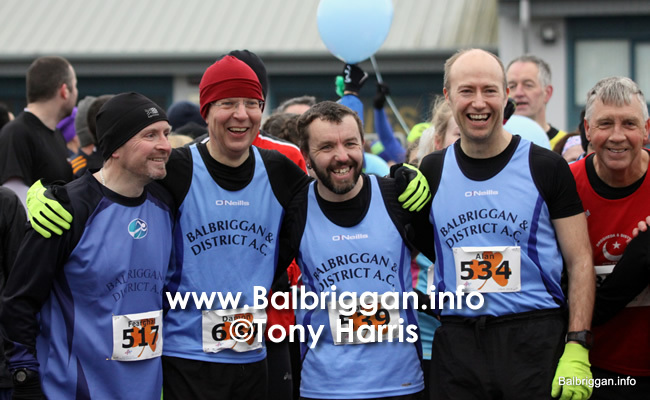 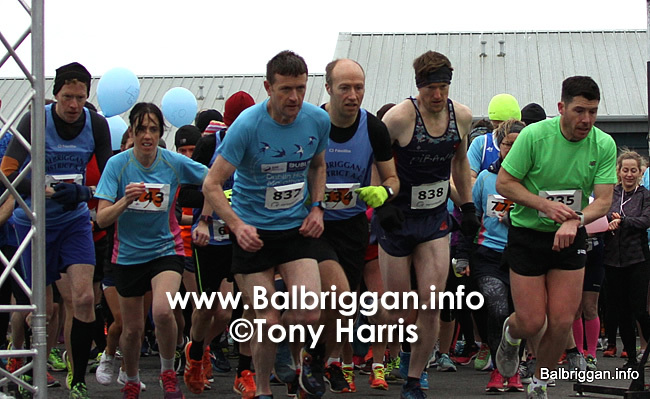 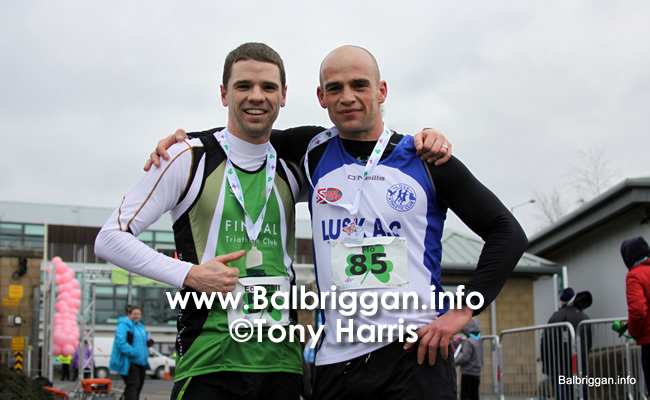 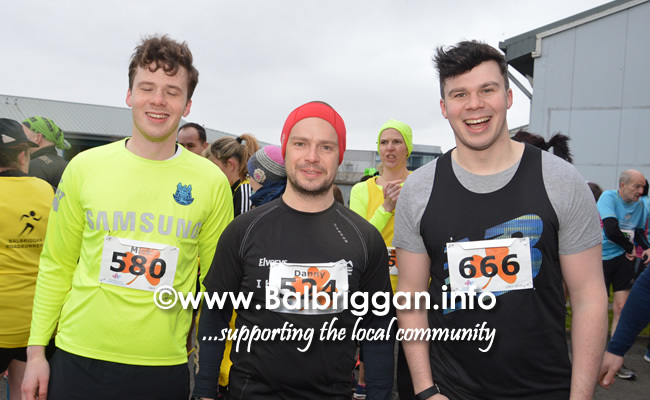 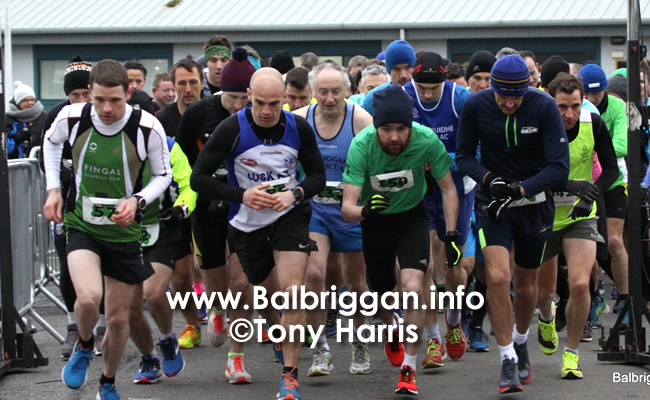 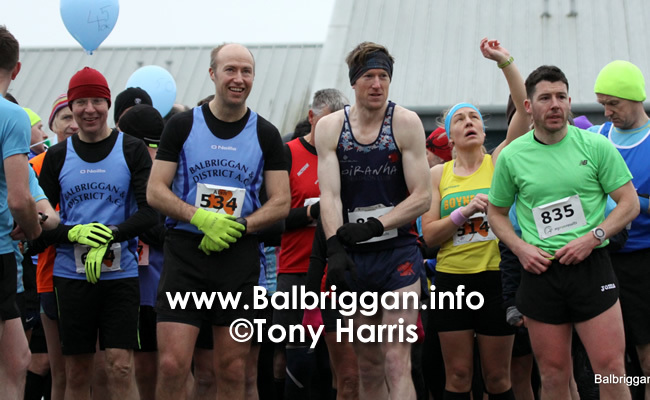 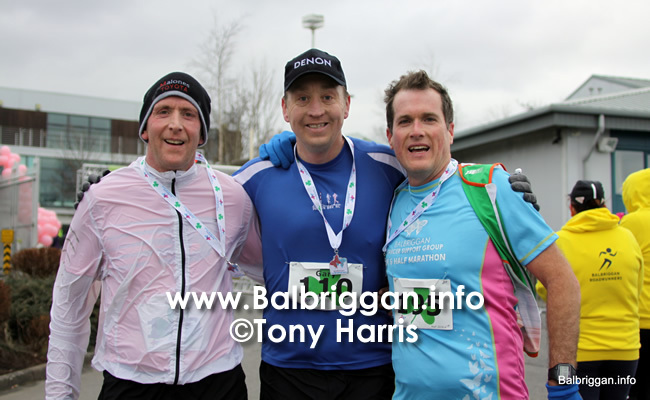 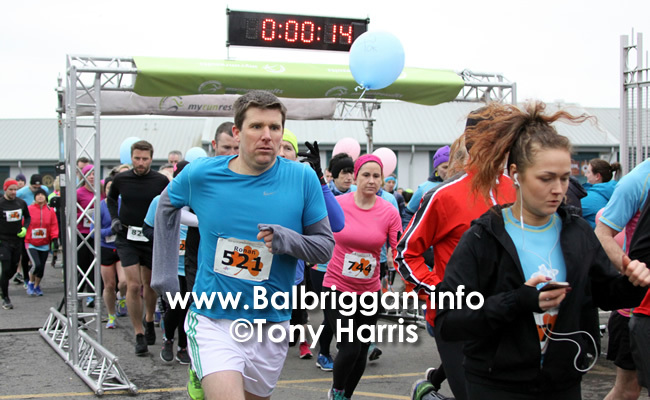 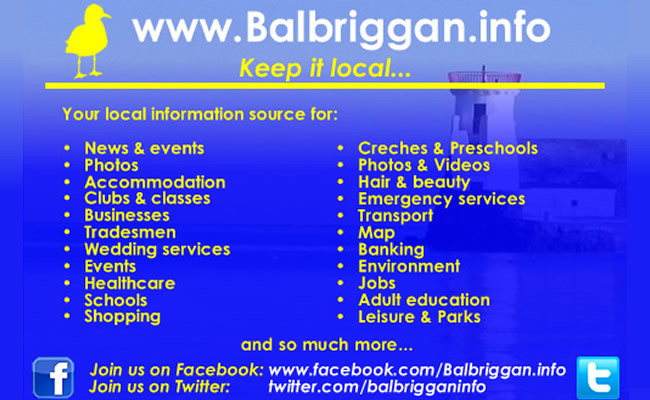 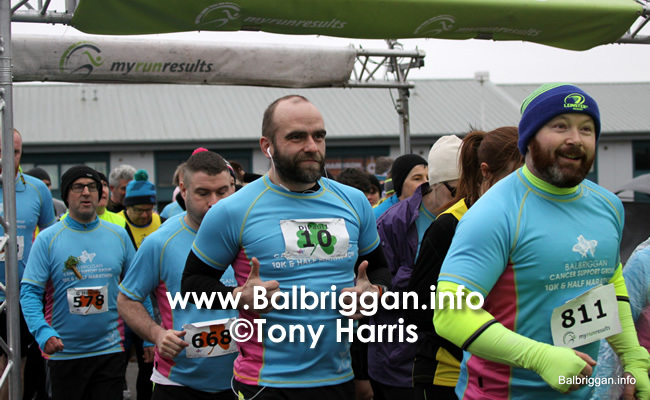 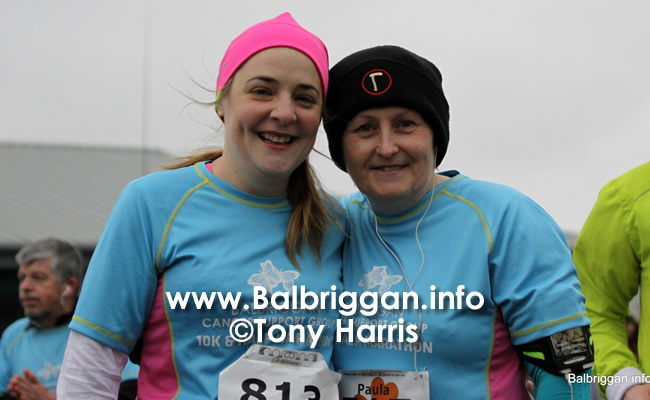 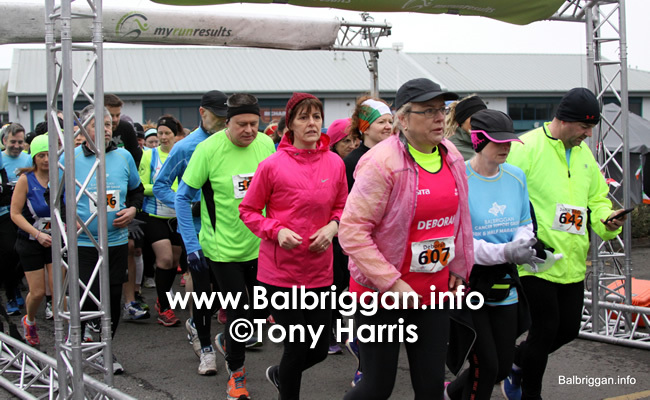 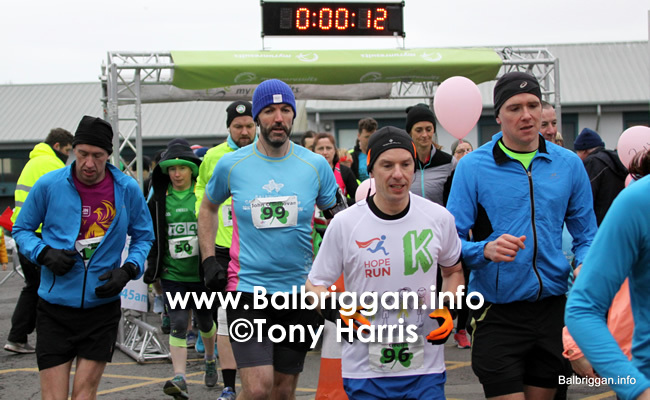 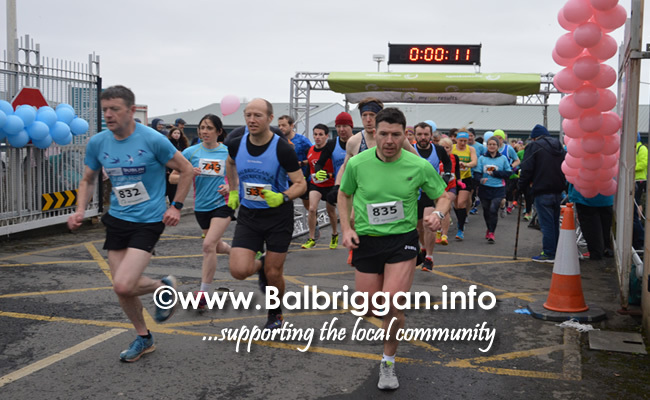 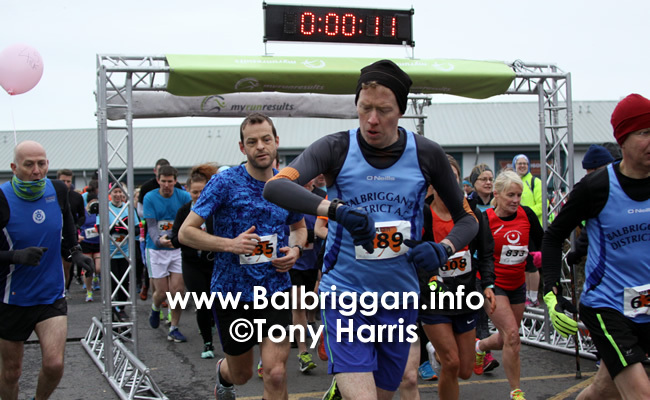 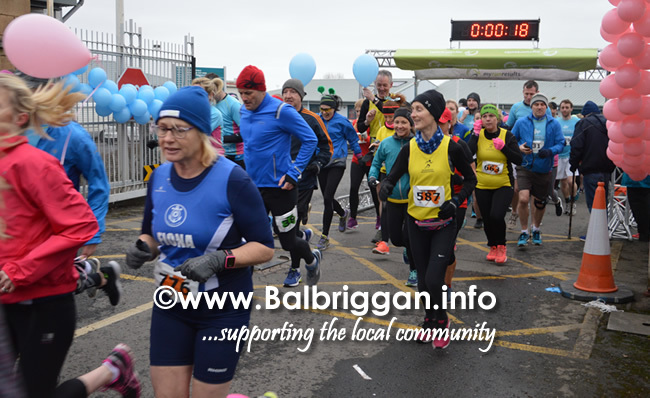 A big congratulations to the hundreds of athletes who took part in the Balbriggan Cancer Support Group 10k/ Half Marathon this morning. 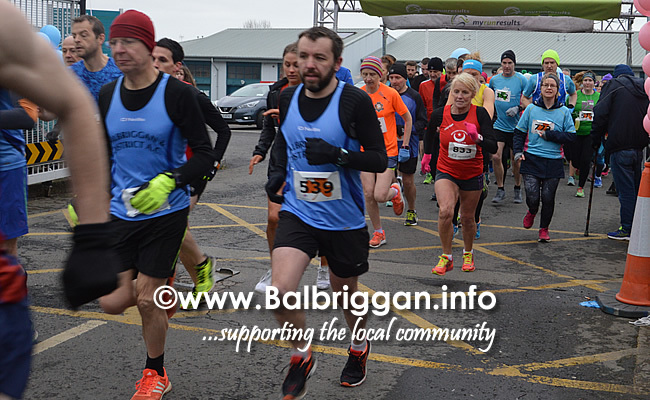 The weather was freezing cold with snow imminent but this didn’t deter the many people who turned up to take part. 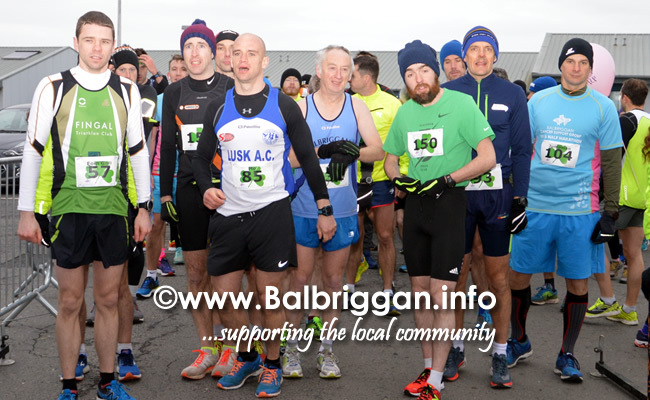 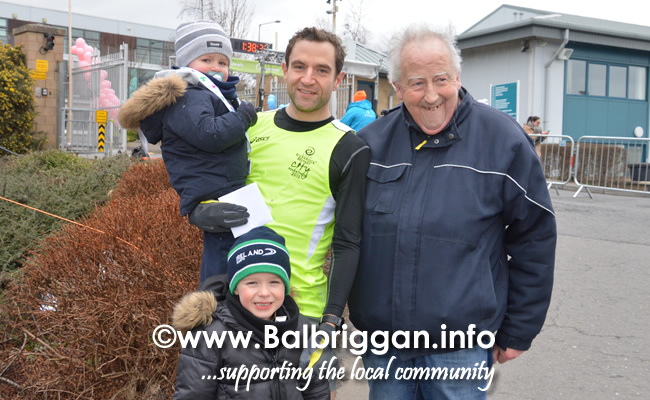 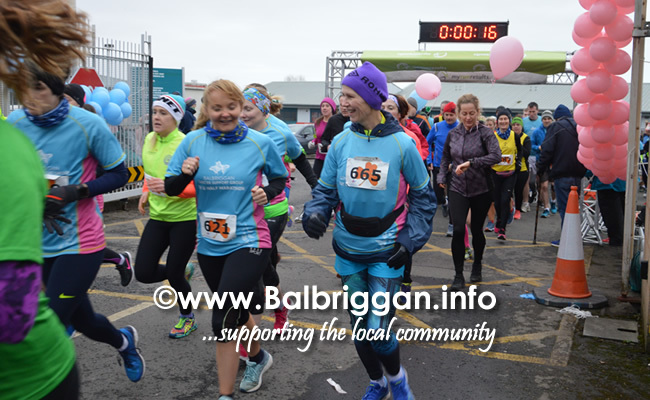 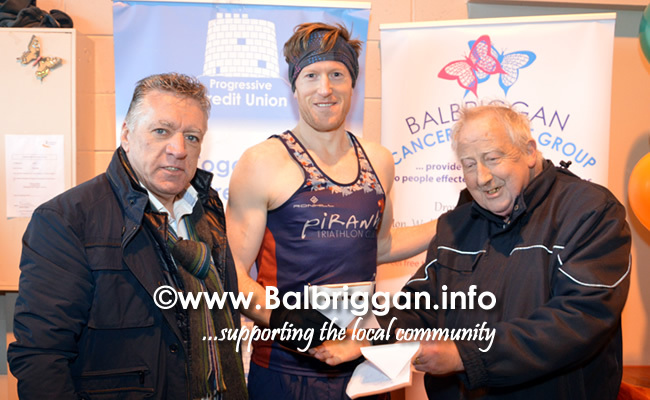 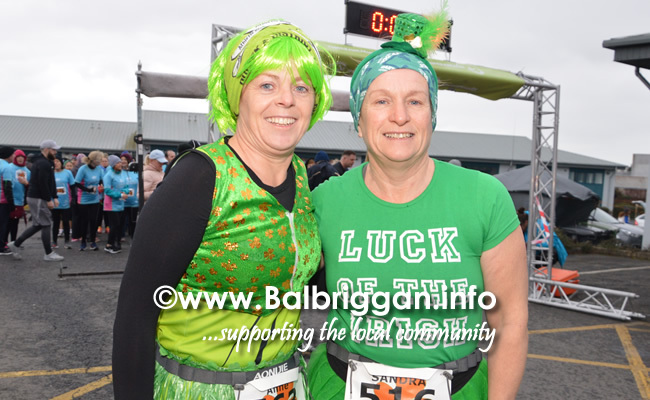 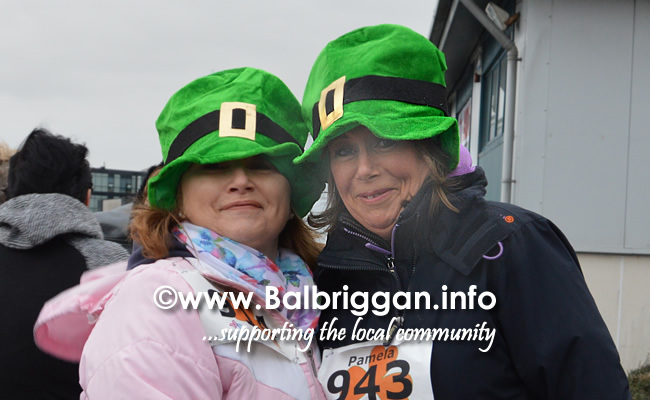 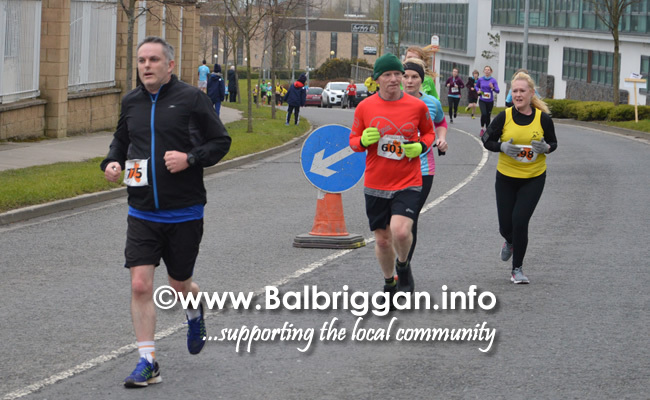 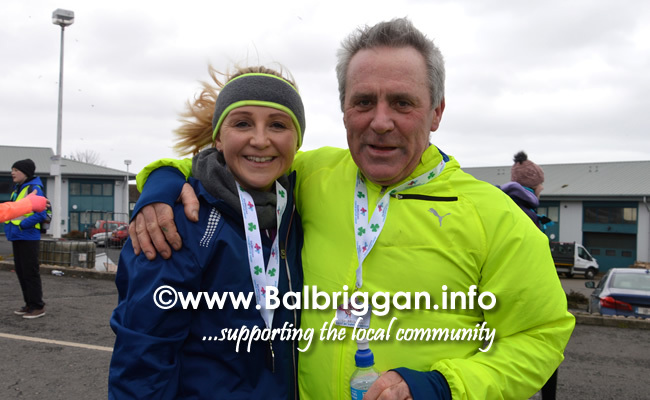 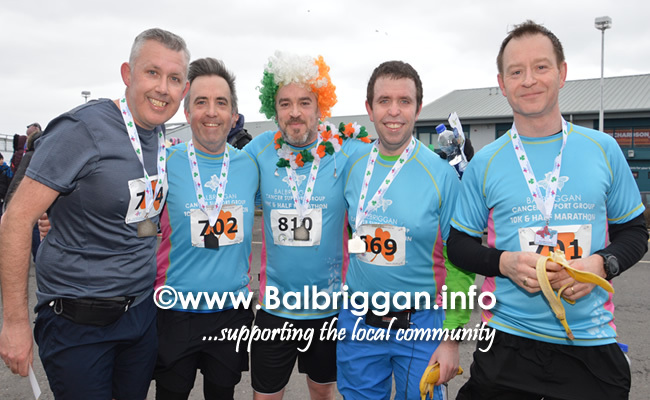 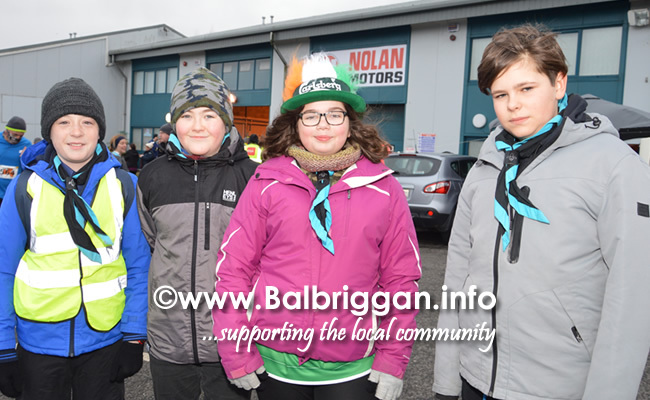 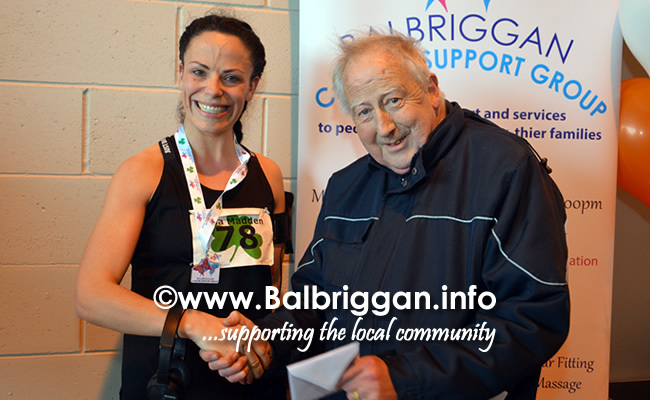 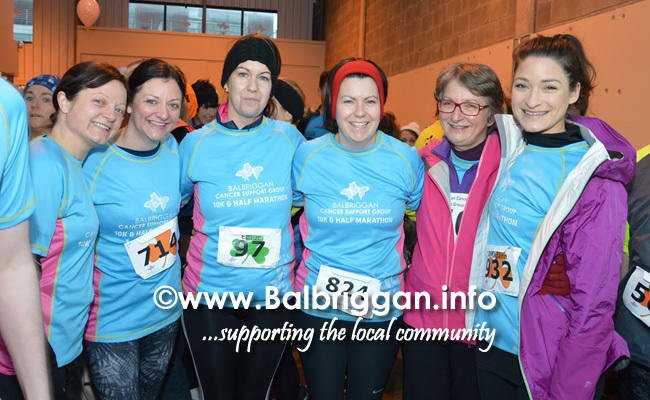 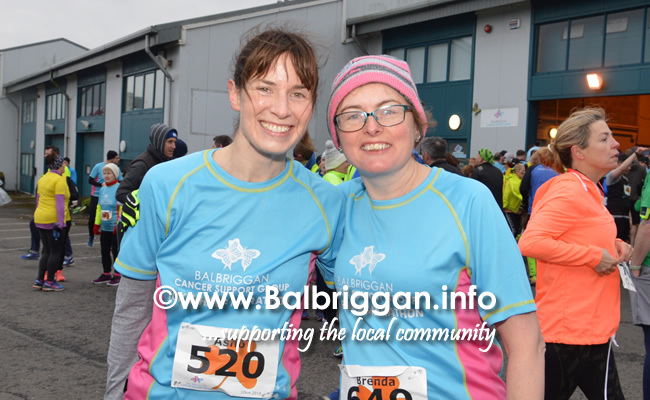 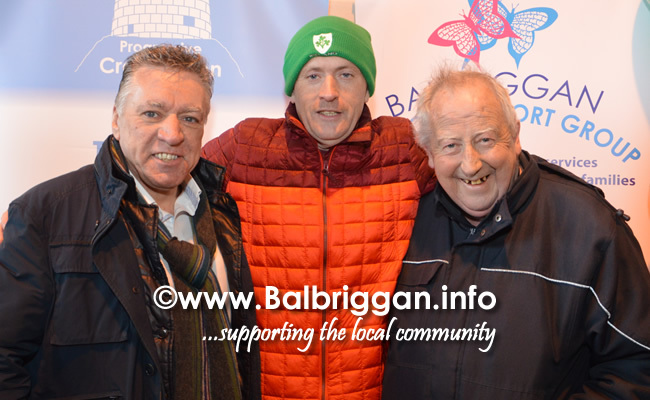 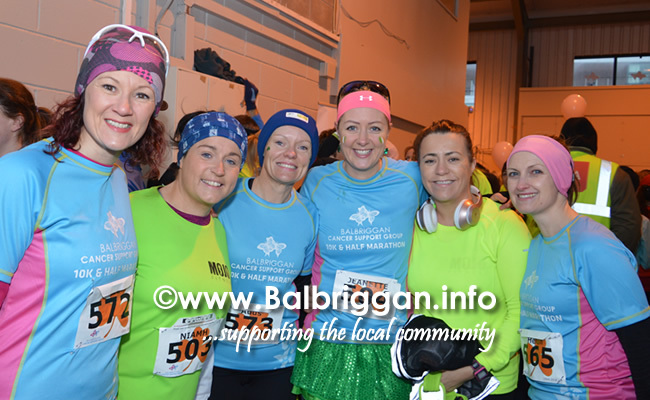 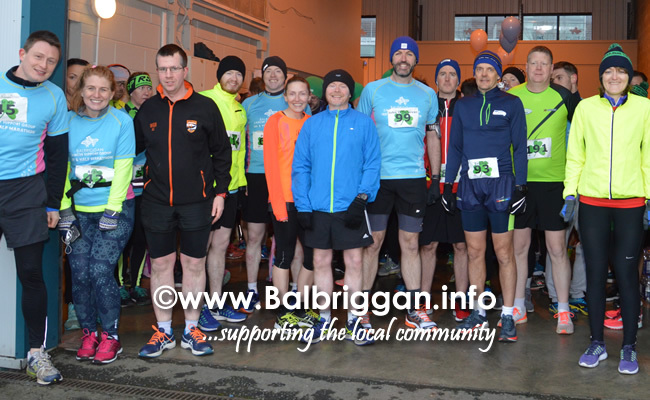 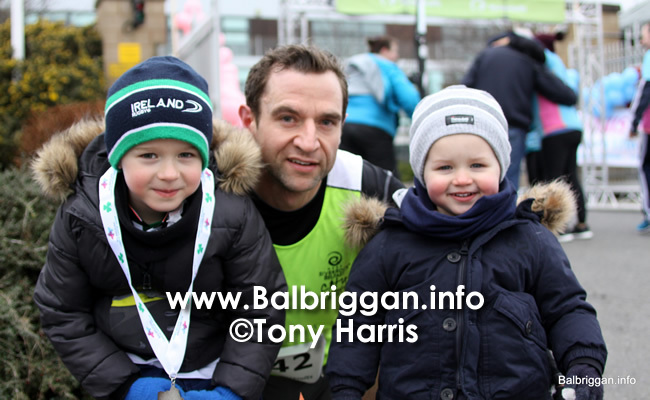 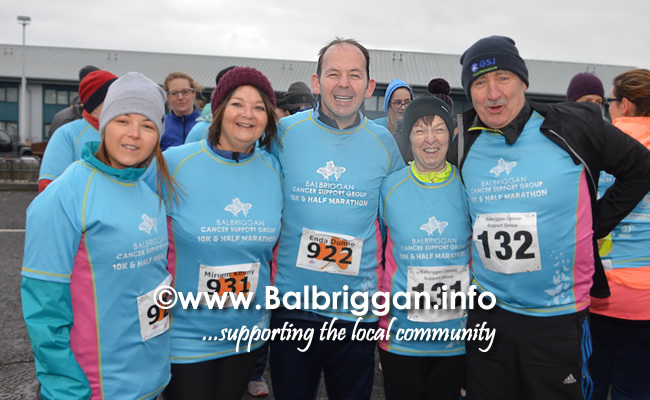 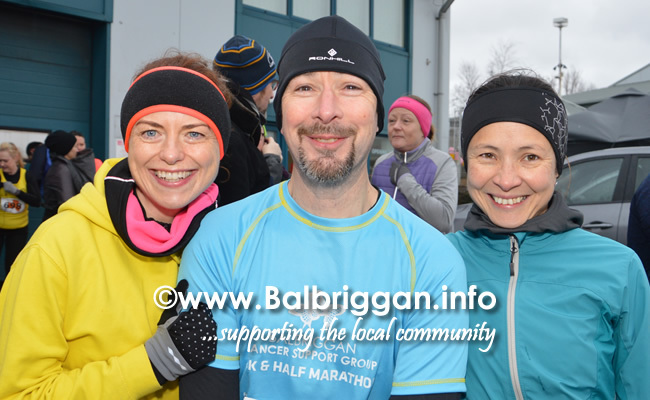 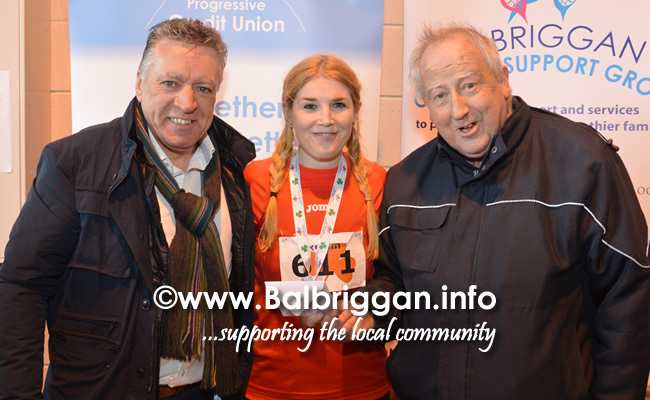 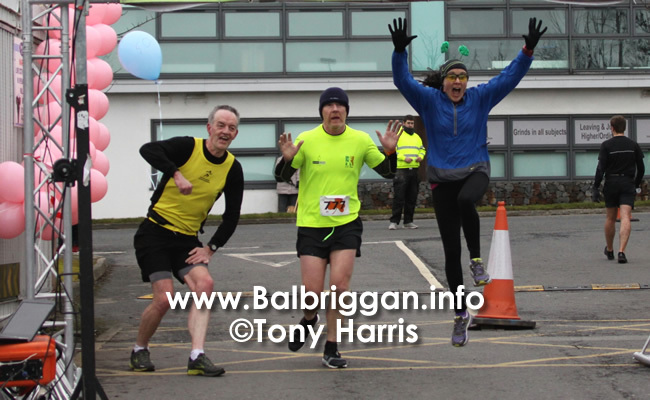 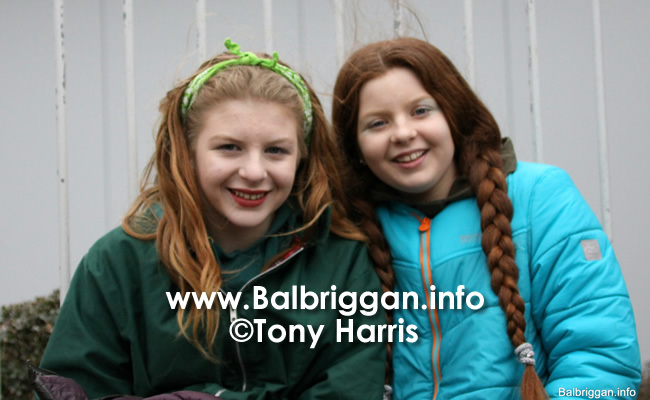 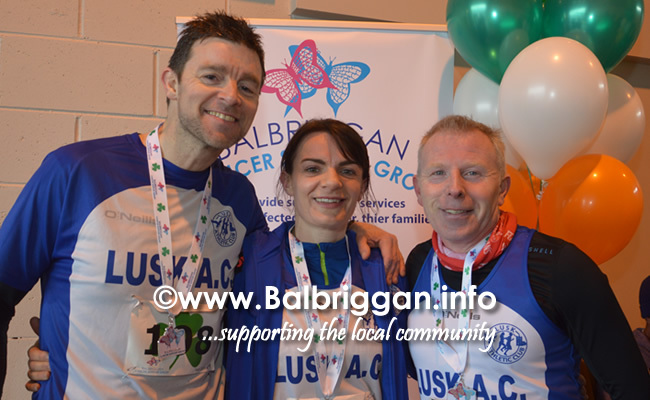 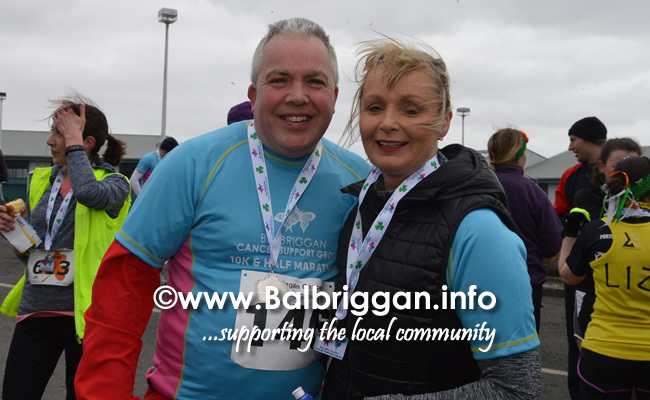 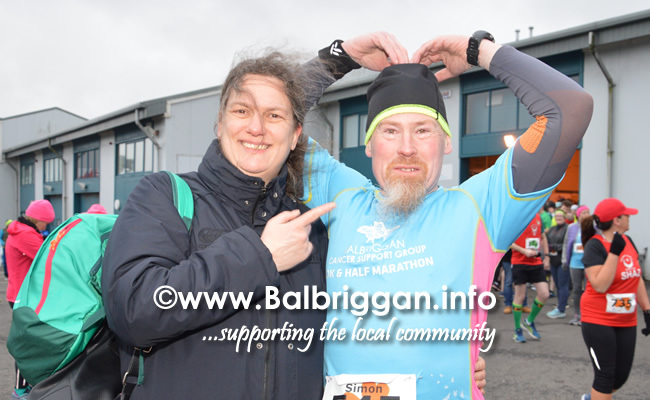 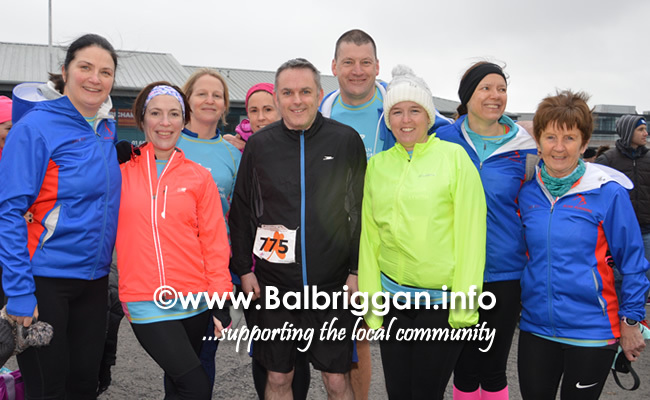 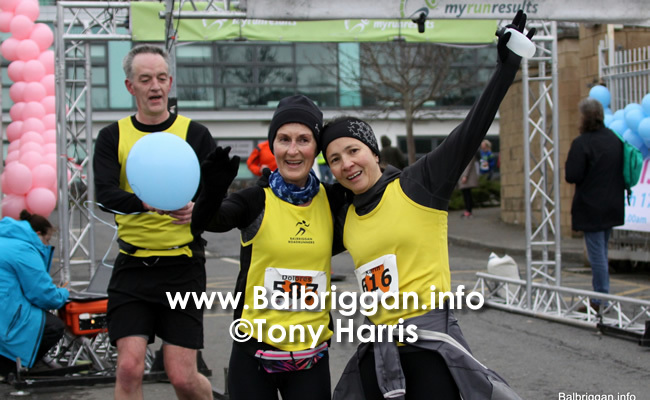 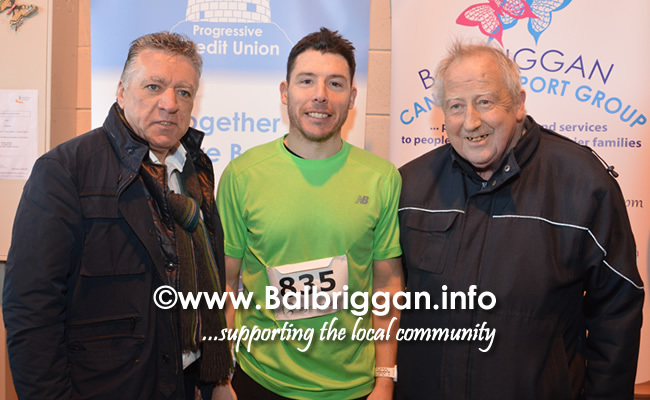 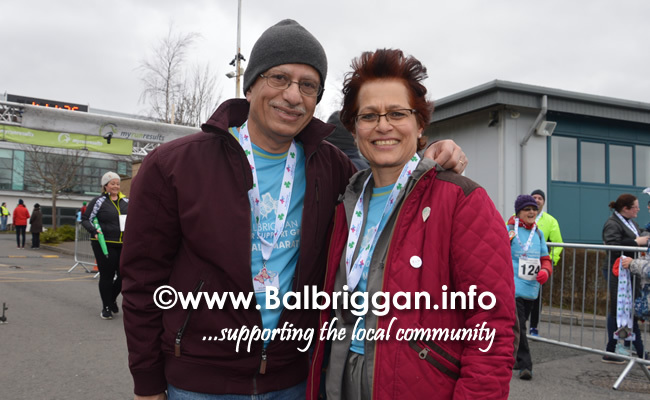 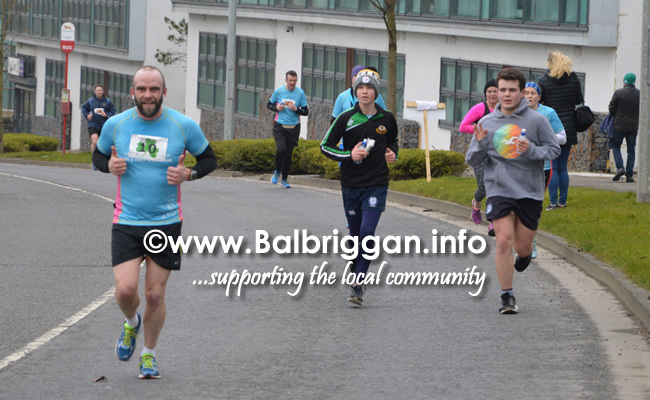 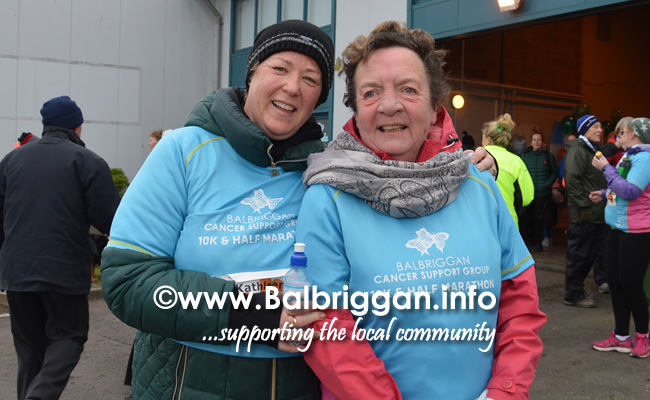 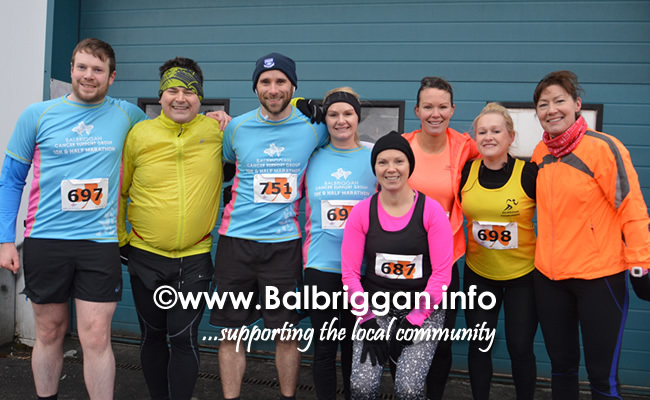 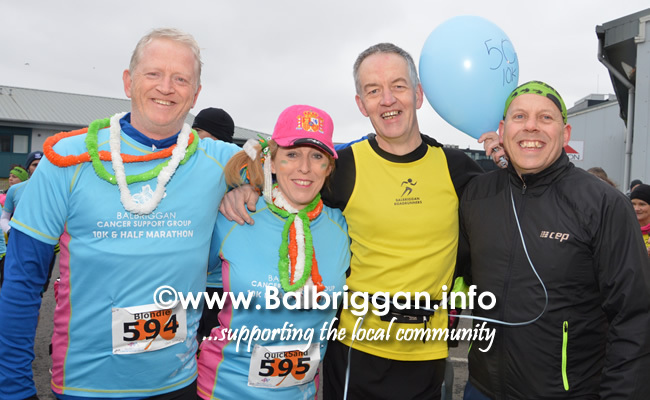 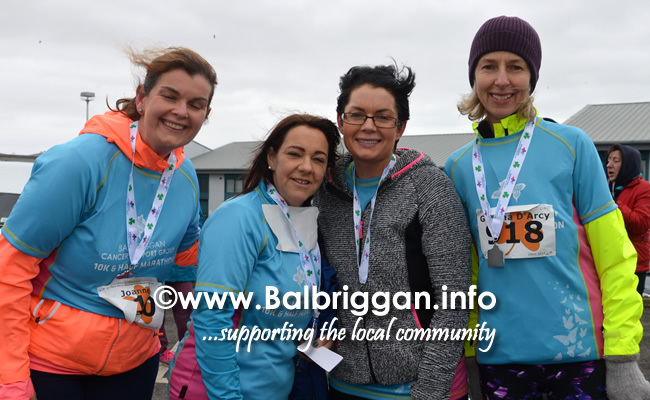 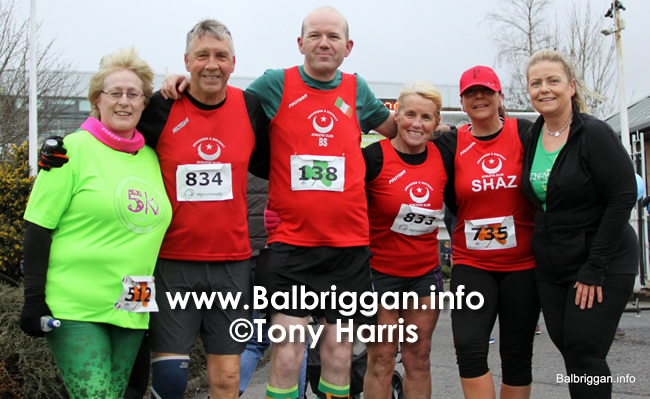 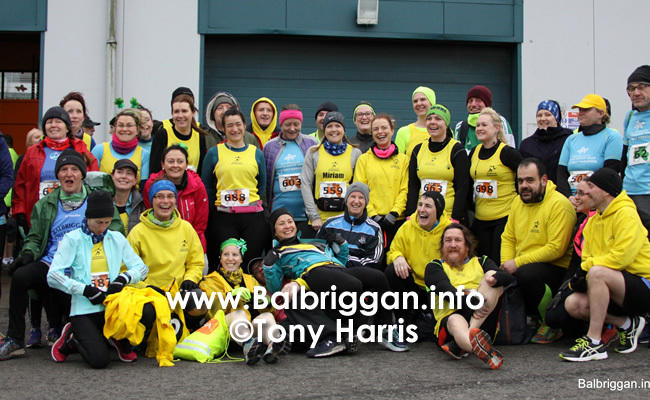 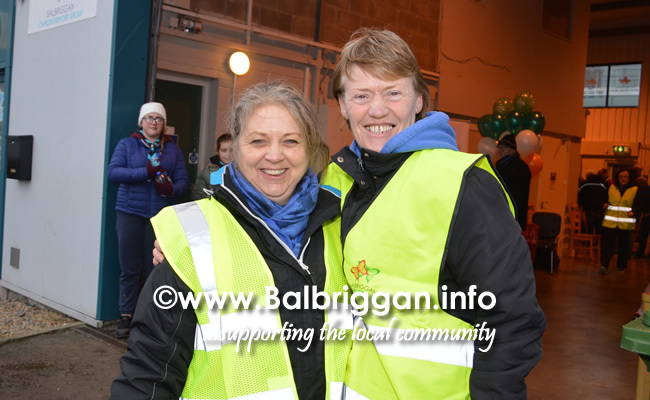 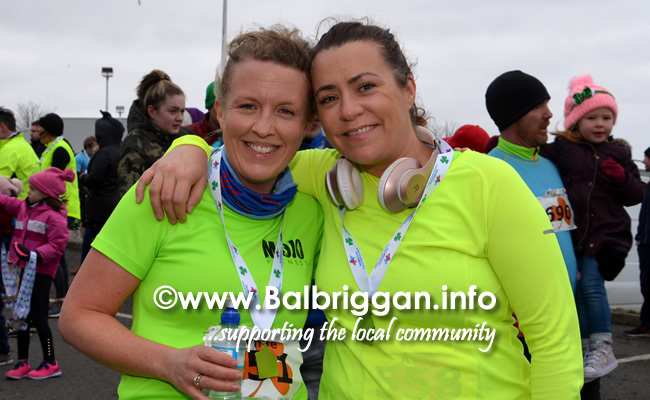 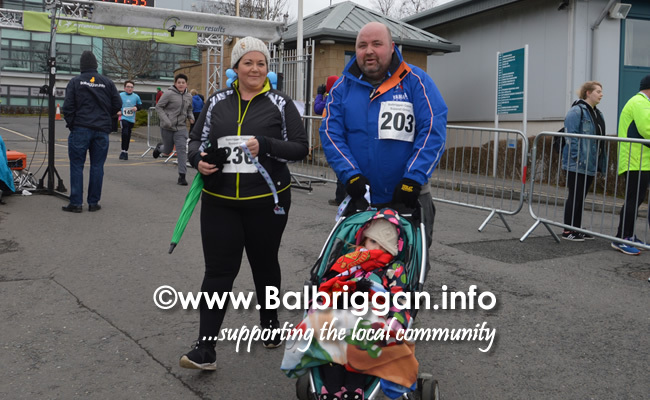 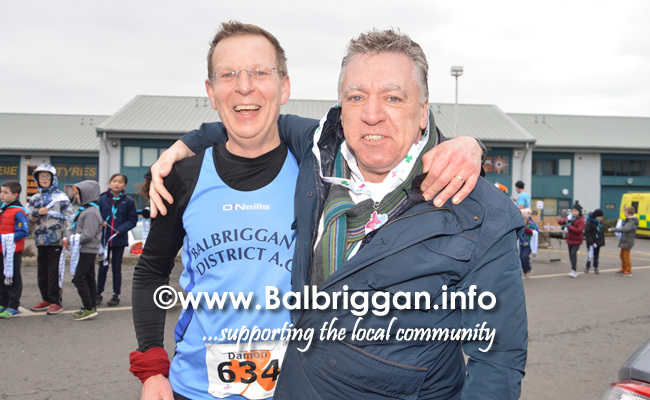 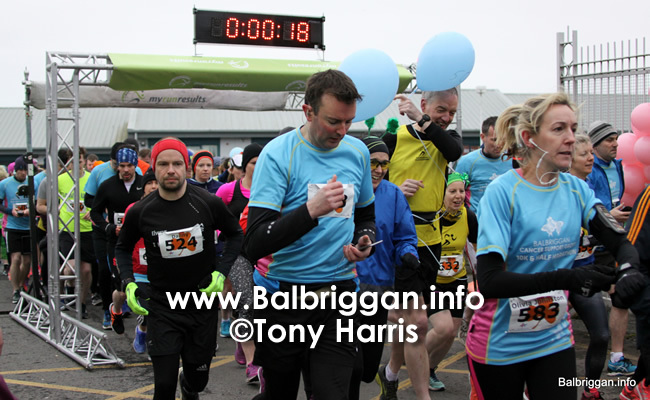 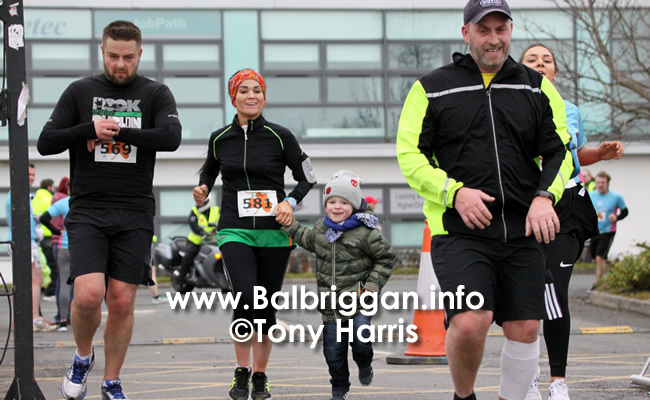 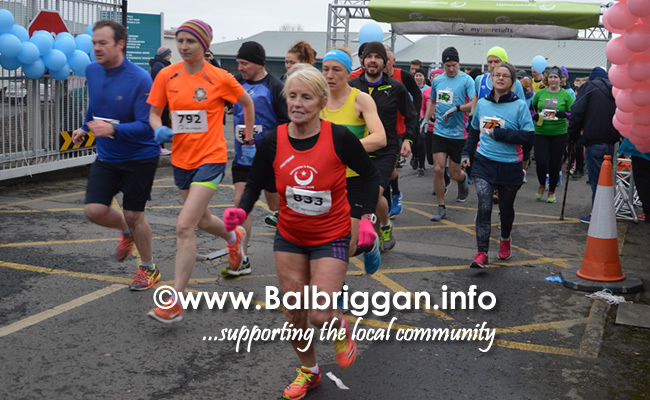 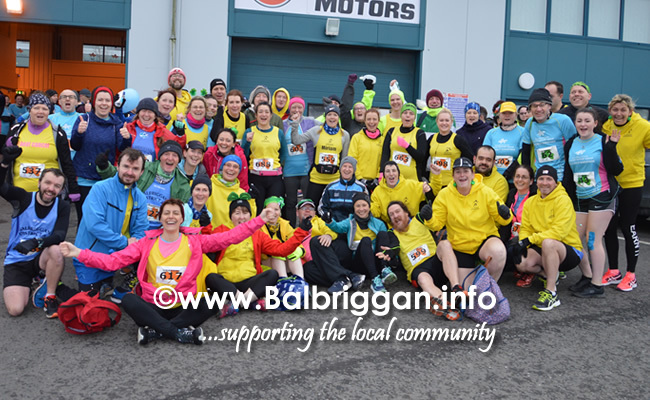 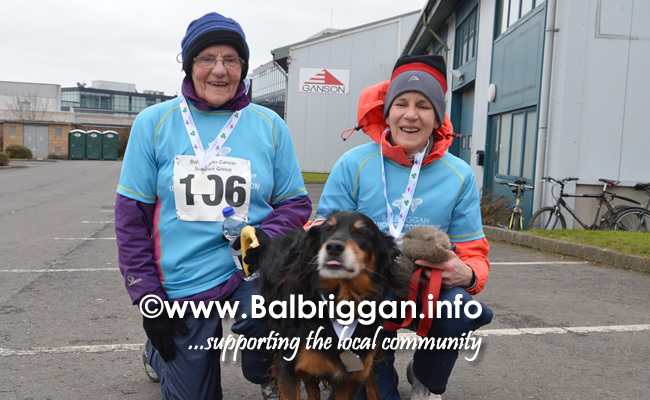 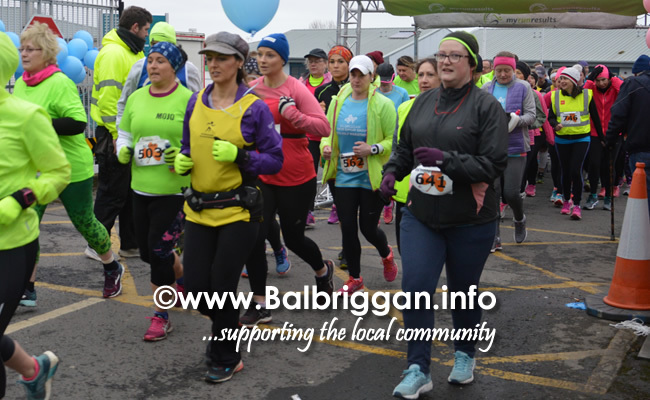 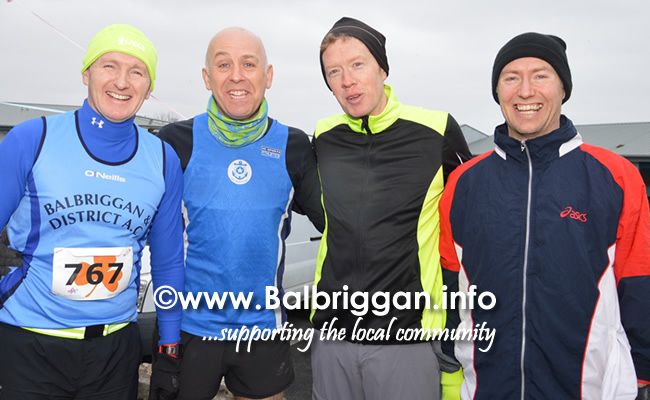 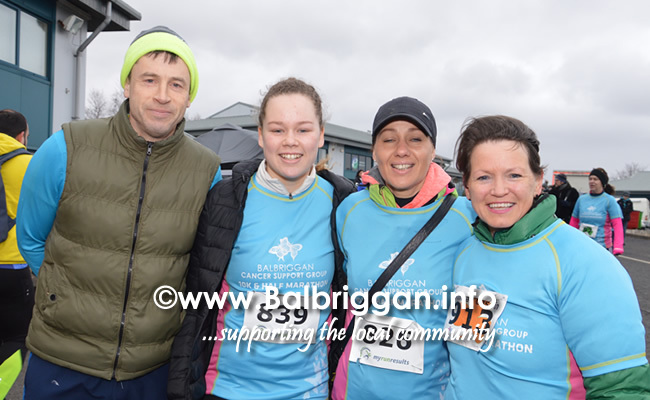 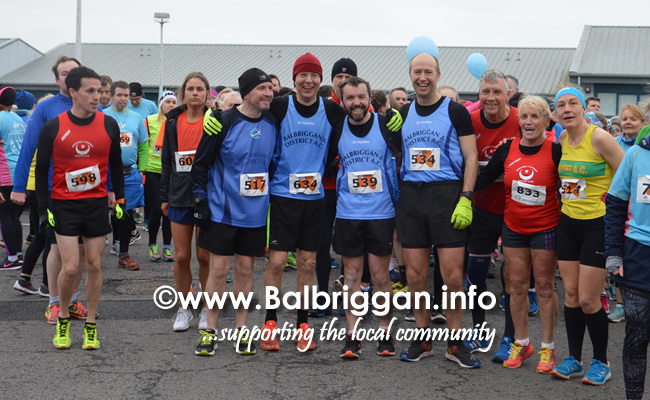 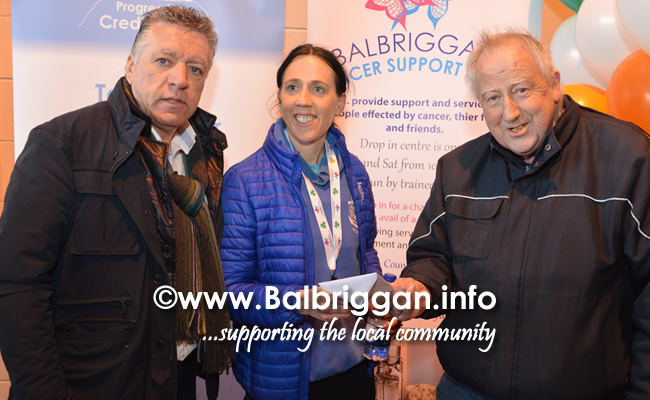 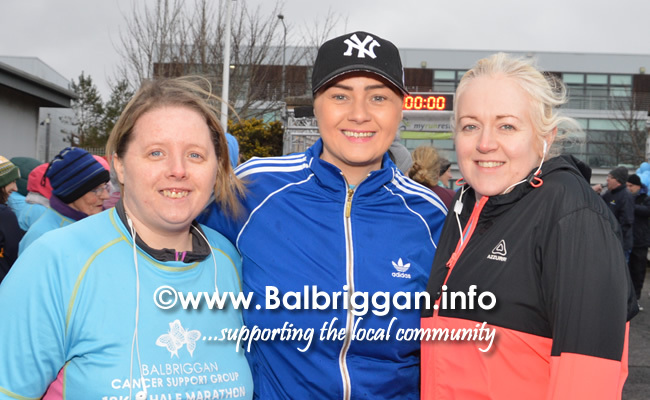 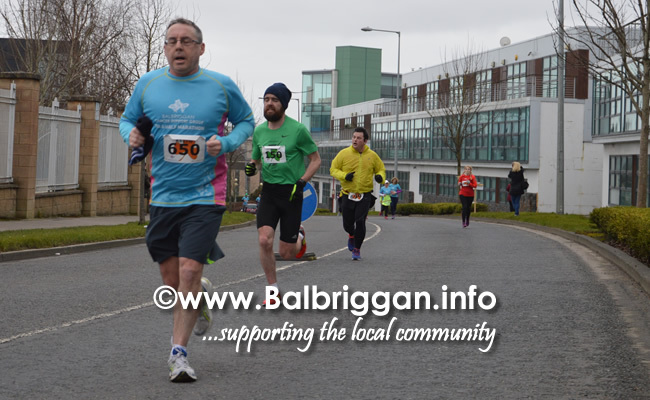 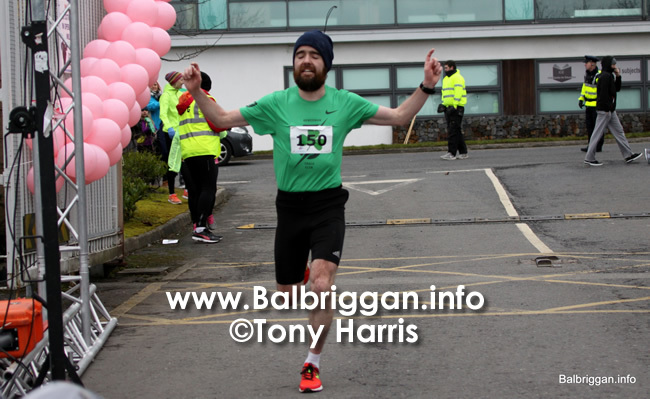 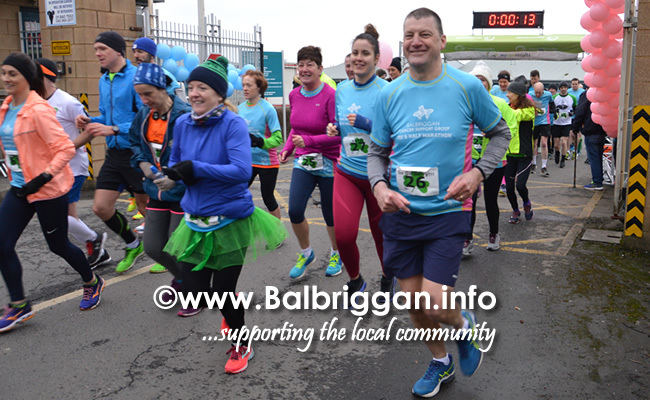 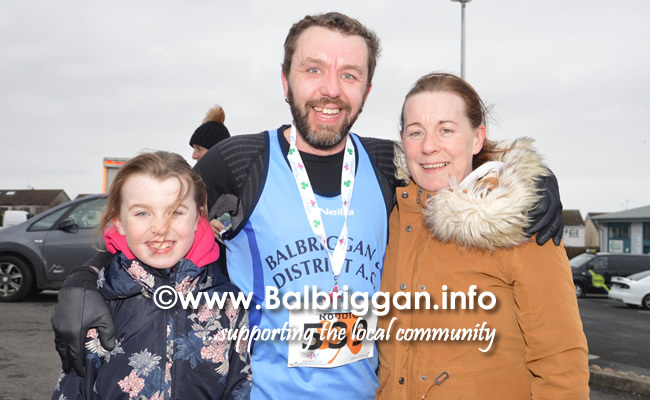 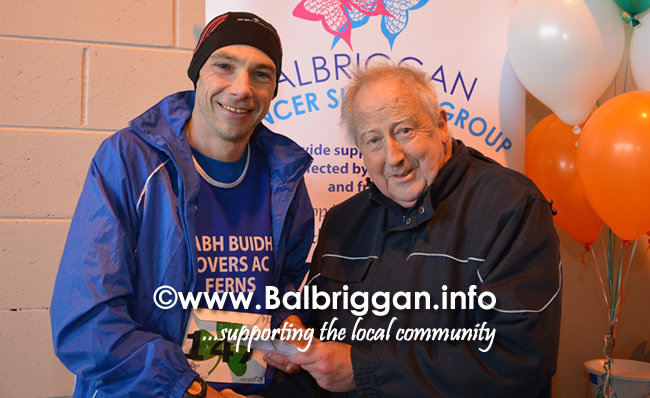 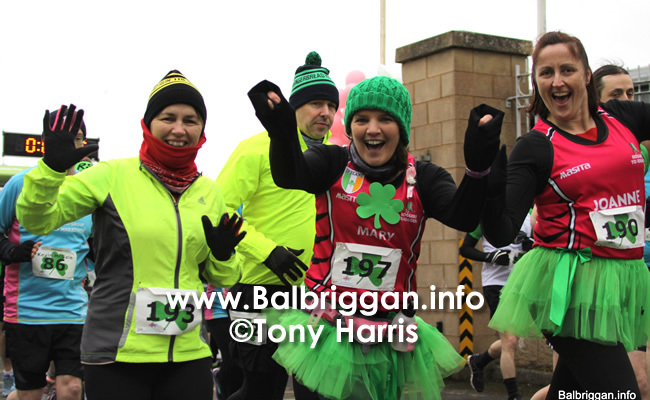 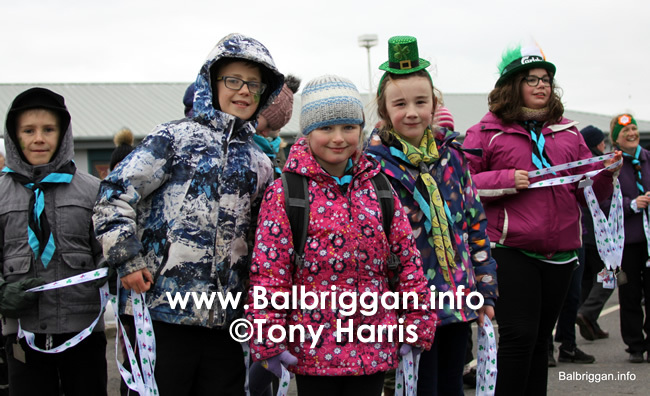 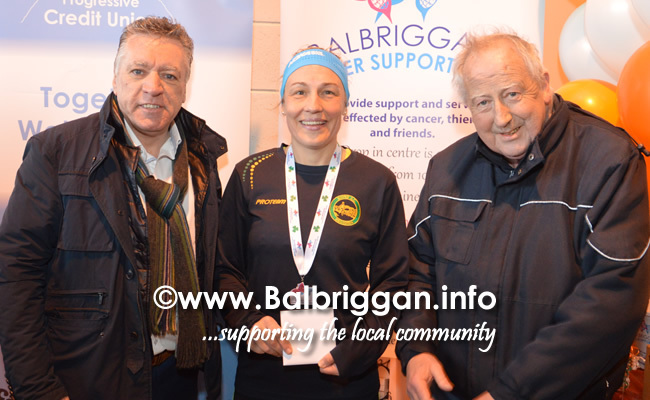 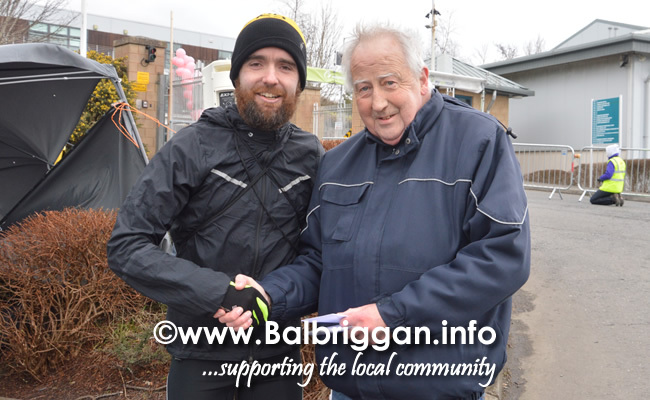 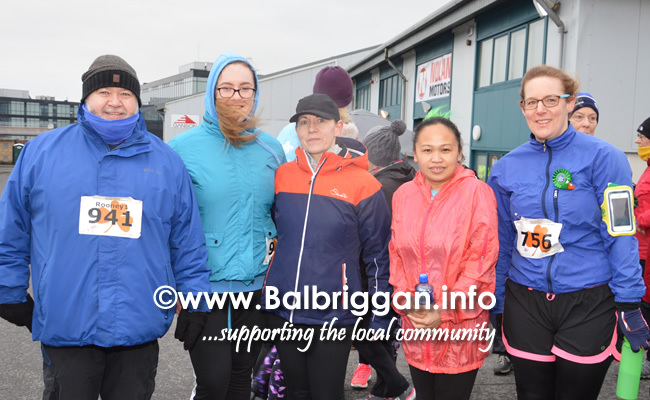 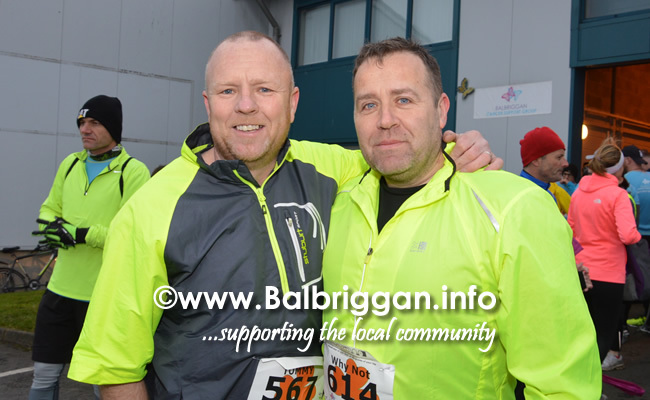 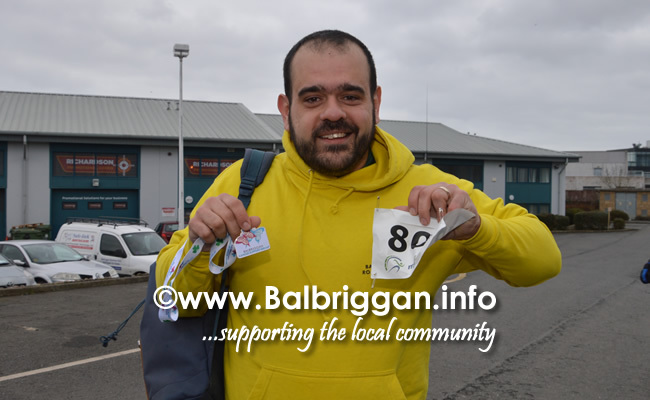 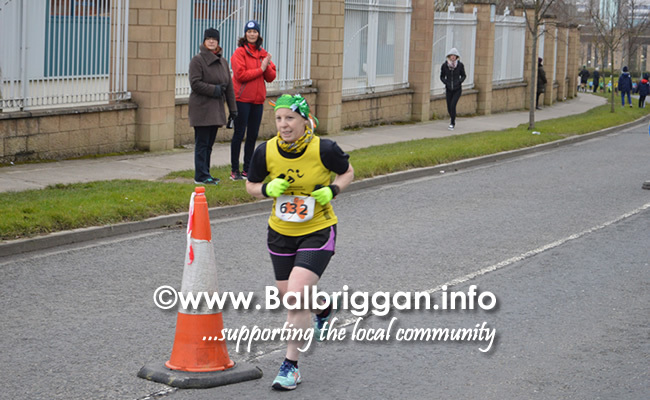 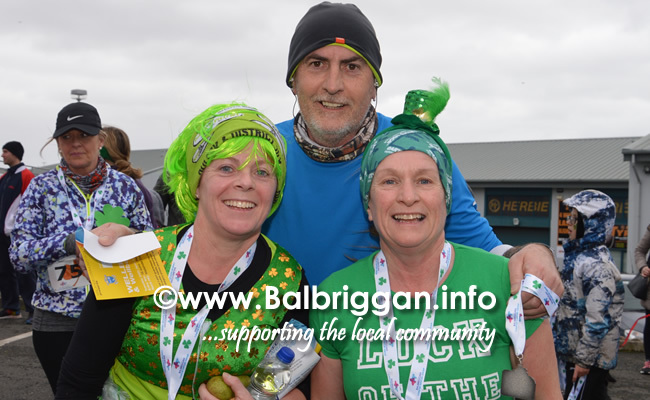 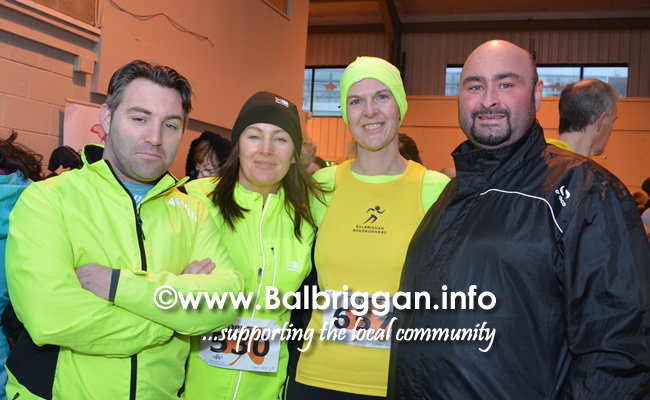 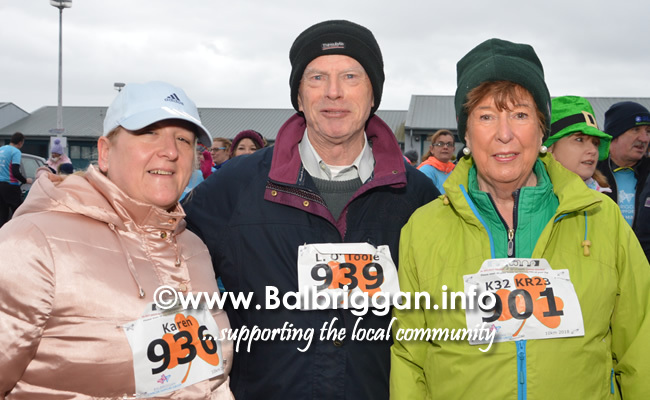 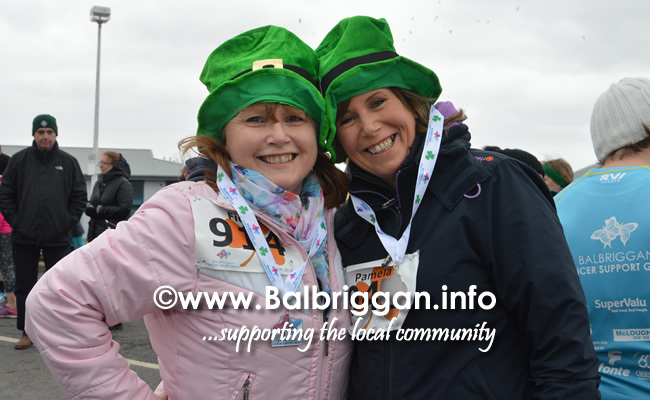 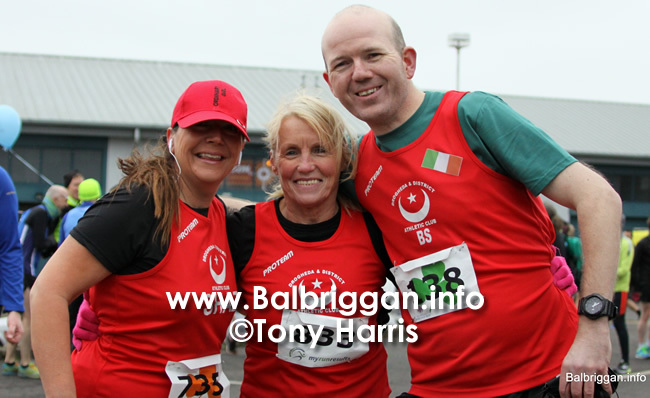 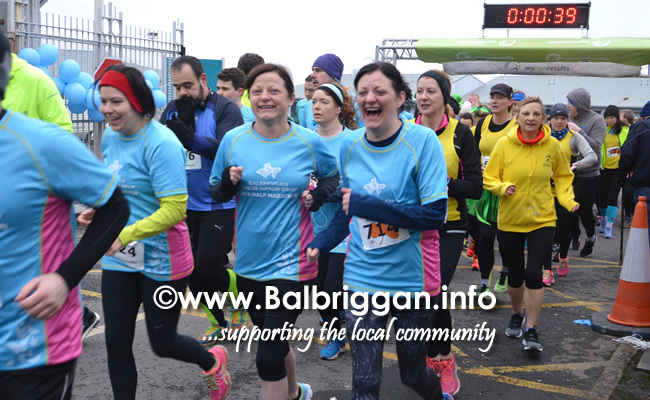 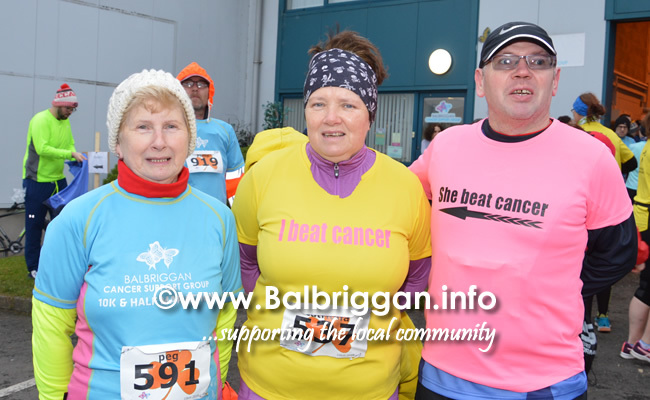 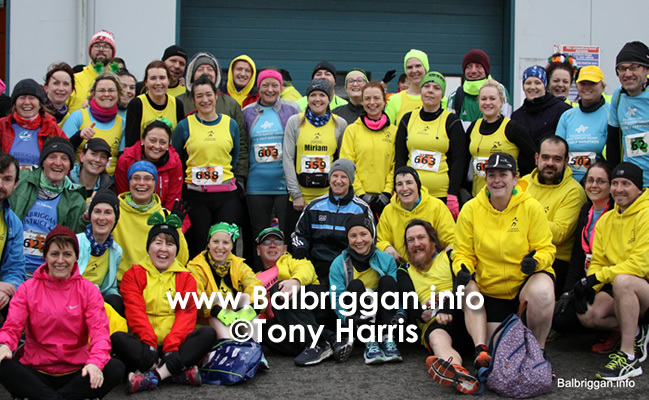 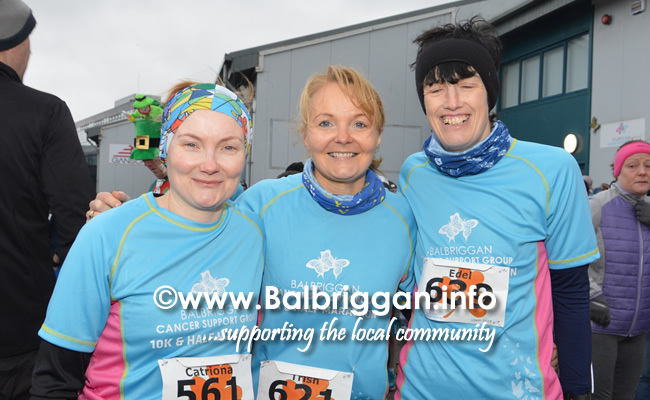 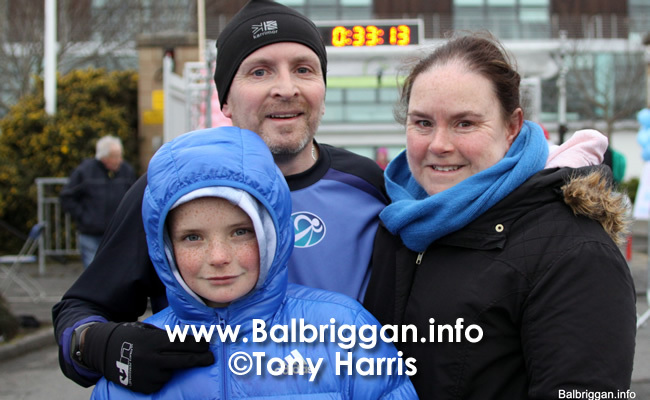 The atmosphere was great as the athletes gathered at the Balbriggan Cancer Support Group centre before the race and it was uplifting to hear stories told of the the reasons that people had taken part. 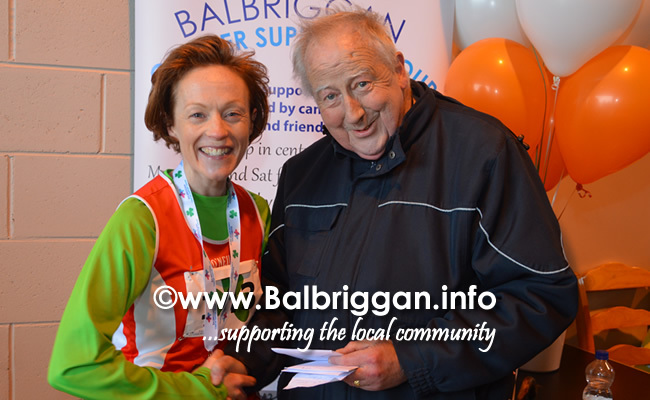 A special mention to Bridie Holland who at 81 was the oldest participant and takes part each year and to Michael Duignan who is is doing 26 10kms in 26 counties and his last race is tomorrow in Tralee.